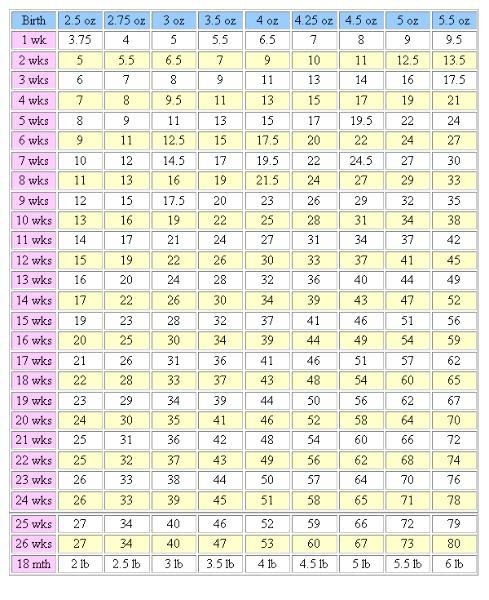 This chart just an estimate on the puppy weight only. It give you the idea on puppy size when they full grown but we cannot guarantee their size will be same as the chart below. We just estimate the puppies full grown approximate weight base with our experience and their weekly weight gain. Puppy full grown size also depends on others factor such as types of food they eat, habit of eating, exercise, health, activity, back ground parent blood line and etc. We use the same yorkie growth chart for tiny pups as we do standard yorkie pups. 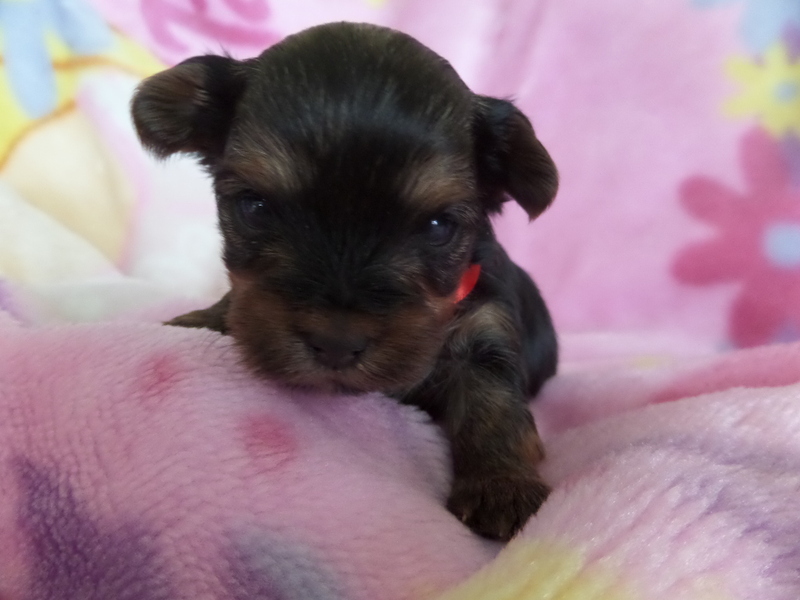 With tiny yorkies, the growth chart is not very reliable until 12 wks of age. For the first 12 wks, it is just an estimate. Most pups will growth about the same rate. As they reach 12-16 wks of age, the tiny puppies will slow down on growth, almost look as if they have stopped growing because it is sooo slow. As we estimate growth, we take into consideration genetics of parents, past experience, and bone structure. We do our very best to give you as close an estimate as possible.